Beyoncé always kills it when it comes her Halloween looks — but this year, she took her slayage to a whole new level! In an EPIC homage to Lil Kim (aka the original Queen B), Beyoncé executed not just one, but FIVE looks! Just when we thought everything pertaining to Halloween was over, Mrs. Carter decided to debut images of all her costumes on her website Friday evening. 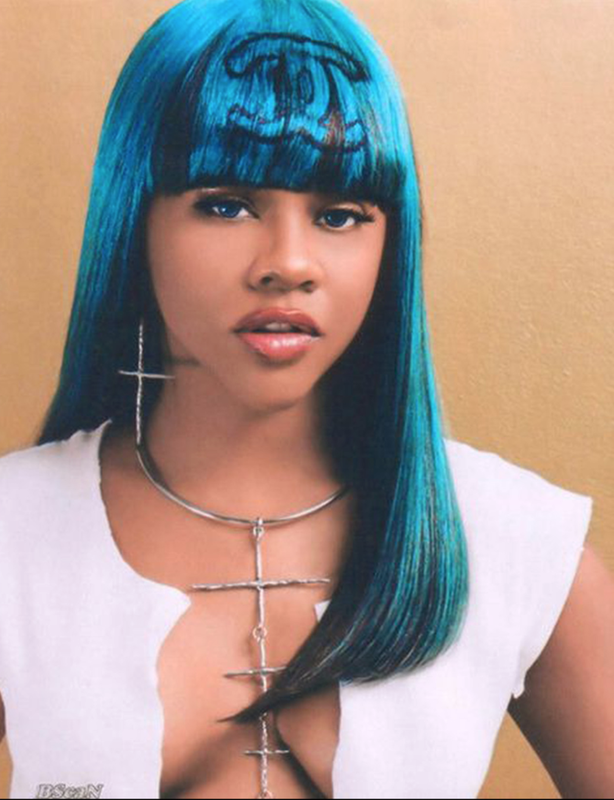 We’re completely in awe of Bey’s uncanny ability to replicate Lil Kim’s most iconic looks. 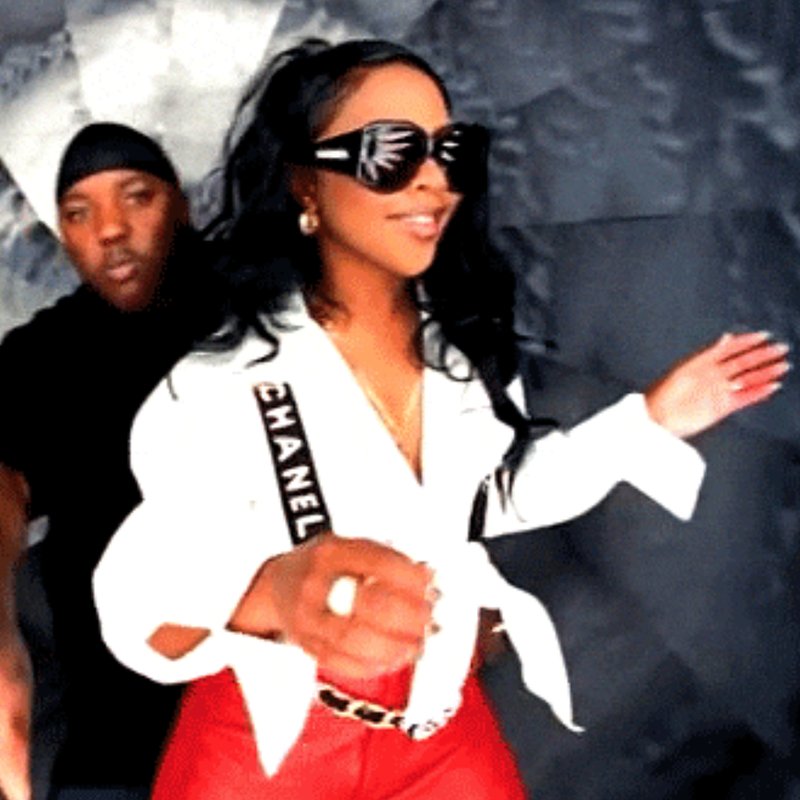 First, Beyoncé nailed the white button-down shirt, tight red pants and Chanel suspenders look Kim rocked in Missy Elliott’s “The Rain” video. Next, she annihilated Kim’s blue wig with bangs emblazoned with a Chanel logo she wore for Manhattan File magazine in 2001. 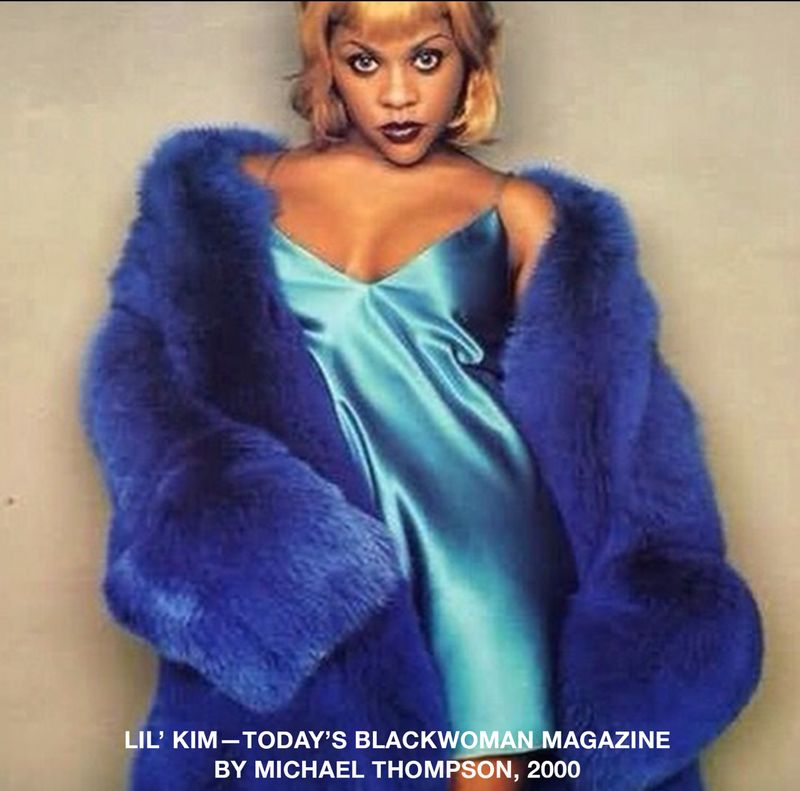 Then Bey slipped into a blue silk nighty and matching fur coat to perfectly copy Kim’s spread from Today’s Black Woman magazine back in 2000. And if we weren’t already impressed, Bey then bodied Kim’s barely there bodysuit with strategically placed fur details that she donned at the 1999 Source Hip Hop Music Awards. Last but not least, Queen Bey sizzles in a fishnet bodysuit, neon green bikini with a matching fur and sunglasses. While the ensembles are legendary, Beyoncé also paid attention to every detail from the wigs to colored contacts.